The following original presentations are more or less interrelated and have been made at International Conferences and/or have been published in Greek, while some in English. 2017-October 19. 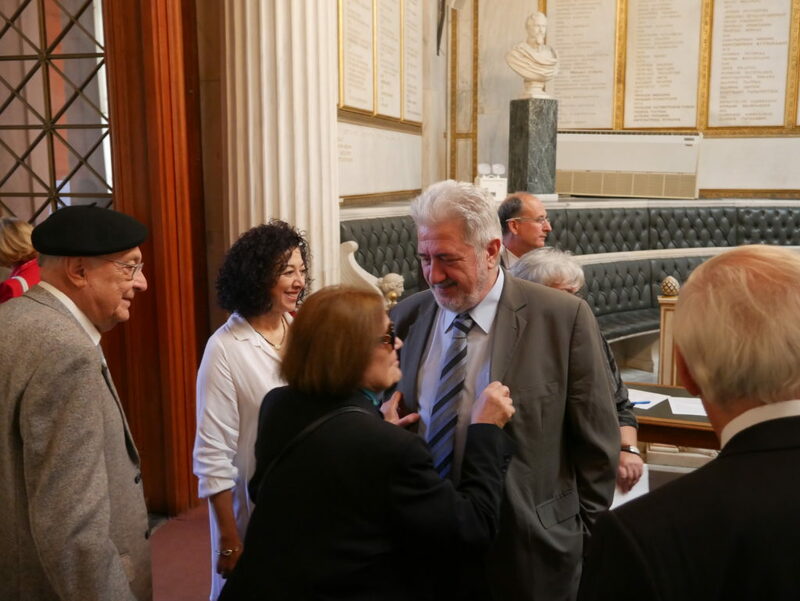 Public Session of the Plenary of the Academy of Athens. The vice President of the Academy, Mr. Antonios Kounadis will proceed to a scientific paper entitled “Astronomical Dates End of Trojan War and the return of Odysseus ” Dr. S. Papamarinopoulos, P.Preka-Papadima, P.Mitropetros, E. Mitropetrou, P.Antonopoulos, G. Sarantitis, K. Gazeas, P. Nasou, K. Kyriakopoulos, A. Tsironi. 2017 – June 28. Invitation of Mr. G. Sarantitis by the Homeric club of Ithaca, to present his last work. Subject: Asteris and Dulichion. Two famous Islands of the Homeric Odyssey. “The Ancient and modern Ithaca”. ‘The Homeric Calendar and the Orion’s asterism”. 2017 – May 10. Scientific Conference Organised by the University and the Municipality of Piraeus city. Subject: Dating of the Homeric Epics with Astronomical Observations. The interdisciplinary team of EMAEM consisted by Dr. S. Papamarinopoulos (Geophysics), Dr. Panagiota Preka (Astrophysics) Professor Panagiotis Mitropetros (Philology), Dr. Elena Mitropetrou (Philology) and Mr. George Sarantitis (Electronics Engineer) presented their common work, “Dating the Trojan War – Dating Odysseus return at Ithaca”. Subject by G. Sarantitis: Asteris – One of Homeric lost Islands. Mr. George Sarantitis presented for first time, the locations of Asteris and Dulichion, two famous but unknown so far Homeric islands analysing their position and shape. Through the same research, testified the authenticity of the today Ithaca Island, and located the possible position of the Odysseus’ house and the city of Ithaca, based on the Homeric texts. 2016 – 12/14 November. Anniversary of the Aristotle’s Year. B’ International Interdisciplinary Conference. Subject: Moral Values, Society, Scientific research. Presentation by Mr. George Sarantitis, with a part of the Methodology of Mythology and the Homeric Calendar and the Orion’s asterism. 2016 – 28/31 August. Ancient Olympia, International Olympic Academy. Greece. International Conference. Subject: Ancient Greece and the modern world. Organiser: University of Patras. Greece. Dr. Paipetis. Director of the Institute of Applied Mechanics. Presentation by Mr. George Sarantitis of the HOMERIC CALENDAR and the ORION asterism of the Ancient Greeks. A small introduction of the MoM, and description of the already known Homeric Calendar and the -then- Orion Asterism. Subject: Astronomy in the epics of Homer. An interdisciplinary team consists by Dr. Panagiota Preka (Astrophysics), Dr. S. Papamarinopoulos (Geophysics), Professor Panagiotis Mitropetros (Philology), Dr. Elena Mitropetrou (Philology) and Mr. George Sarantitis (Electronics Engineer) presented to the Physicists Union, a published study in the “Mediterranean Archaeology & Archaeometry” (MAA) journal. A solar eclipse’s evolution was described in the Iliad in a stepwise mode manifested in increasing gradual darkness, during a warm day at late noon; from Sarpedon’s death time to few later from Patroclus’ death time. We examined the solar eclipses within the time span 1400-1130 B.C. and we found that only the annular solar eclipse on 6th June 1218 yr B.C. observable in Troy with significant obscuration 75.2 % fits fully with the Homeric descriptions. Following the above presentation, Mr. George Sarantitis presented in short the Methodology of Mythology and a few examples. New April 8, 2016. video with English subtitles. 4th International Congress of researchers of heritage of ancient civilizations. Subject: New connotative accurate translations of Plato’s books Timaeus and Critias reveal another dimention in Plato’s way of thinking and offer new important information about Atlantis. The London Book Fair, 08-10 APRIL 2014, 09.00-18.30h. at Stand X205, hosted by SIDERIS PUBLICATIONS, (www.londonbookfair.co.uk).April 12, 2014 :I would like to thank all Publishers, Agents, Authors and Visitors who came to the I.Sideris stand at the London Book Fair and offered me the opportunity to discuss with them the works herein. I. SIDERIS PUBLICATIONS, since its establishment in 1891, is among the leading companies in publishing and distributing books in Greece. It has developed an extensive and lasting net of cooperation with foreign publishing houses. Current publishing, among others, include topics of Social Sciences, Politics and History, Modern Psychology, 20th Century Thinkers, Children’s Books and Religion, Cookbooks and Modern Popular Novels. It also hosting “ReWriteGreece”, the unique interactional website dedicated to literary translations from Greek into English. Participation in the International SEAC Conference in Athens. (SEAC – Société Européenne pour l’Astronomie dans la Culture). The Synodic month – The Sidereal month with an accuracy of 27,3333 days! The year as 364.5 days and periodically with 366 days. Confirms also the accuracy of the ancient texts after their re-translation from the Alexandrians Philosophers. For first time the accurate description of the Orion’s asterism, referred hidden inside the “Odyssey” with an incredible and astonishing way. Questions about many texts of the last 2.500 years answered with use of simple true Logic. b) Ancient Astro-Navigation. The sea voyagers of the Mediterranean sea, knew how to navigate with accuracy to any destination by simply using the stars and the then asterisms. An easy method to find your way without the use of a compass, by studying a few details in the sky, as long as there are visible …stars and not clouds. Something very common in these areas. 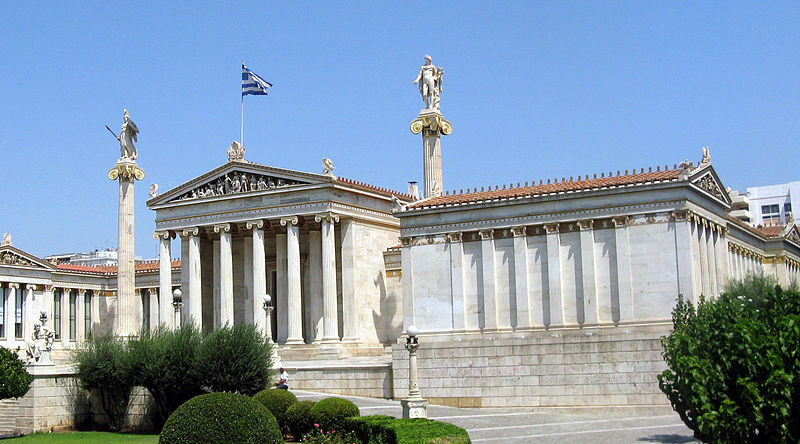 2011 – Patras and Aristotle Universities. International Conference. Atlantis Hypothesis. Santorin. 1) Actual location of the Pillars of Heracles according to Plato, Aristotle and Scylax. 2010 – Homeric Club. Ithaca, Homeric Studies. 2) Is today’s Ithaca the actual ancient place in ‘The Odyssey’? Where Doulichion was (and still is). 2010 – International Philosophic Centre, Olympia. 2009 – National Research Centre. 1) Actual dimensions of Libya according to Herodotus and others. 2) The Identity of Homer. b) Actual dimensions of Libya according to Herodotus and others. c) Actual location of the Pillars of Heracles according to Herodotus and others. The Apocalypse* of a Myth – 2008, Greek limited edition – National Library of Greece. The Apocalypse* of a Myth – 2012, English edition.